It's already November and the holiday season is fast approaching. Is your restaurant ready for the rush? If you run a restaurant, deli, butcher shop, catering company, or any other food service establishment, are you prepared to serve a rush of customers? To take full advantage of the influx in business during the holiday season, knowing the distinct differences in butcher paper and freezer paper, and the custom printing options available, will help you properly preserve inventory and best present it to customers. Butcher paper and freezer paper both start out the same: FDA approved paper generally sold in rolls of varying widths and standard thickness. Butcher paper is perfect for wrapping up dry items for short-term, like sandwiches, and is great for lining baskets and trays for restaurants. It's uncoated, so items with more moisture may require our freezer paper. 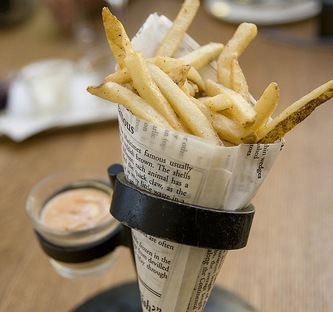 The lack of a coating gives butcher paper a versatile advantage in the food service industry, as it can serve as a great tabletop cover or menu. 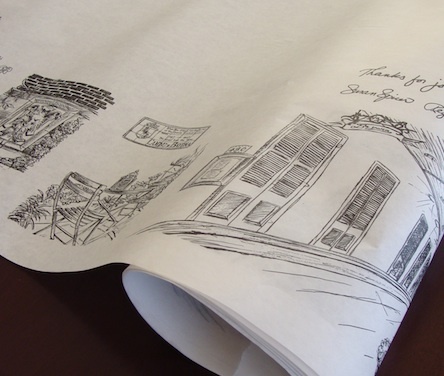 Every piece of butcher paper can even enhance your restaurant's image when it is custom branded. Butcher paper can be printed on one or both sides to include your logo, a design, or promotional information including holiday-themed decorations, messaging, or special offers. Learn more about the most popular butcher paper uses. Freezer paper has one major difference from butcher paper: it's poly coated on one side to provide a moisture barrier that makes it ideal for long-term freezer storage as well as wrapping moisture-rich items. 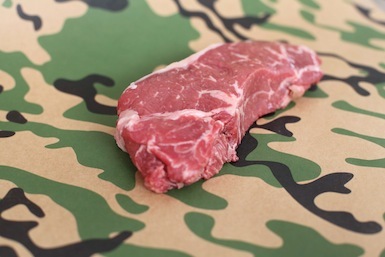 Printing and customizing options are also available for freezer paper, like our camo freezer paper for hunting season. Are you ready to take advantage of all the available options for custom food service paper that can help make your busy holiday season and even bigger success? We're happy to answer any questions you may have, so contact us to learn more. The holidays are just around the corner!